It’s beginning to look a lot like Christmas – TBGC’s gin advent calendar, plus win a bottle of Yuletide gin. After keeping schtum for the last few weeks, I can talk now without getting too much stick, I hope. I love Christmas. I’m one of those disgusting Christmas people. I want to put the decorations up asap and spend at least a month inside in front of the tree making Christmas crafts surrounded by all the festive goodies. The cheesy feel good films, the jolly, jingle bell sodden music. I love it all. The way I see it, if you can put the pressures to buy big aside, it really boils down to the opportunity to spend time with those you love the most. And, as life gets increasingly busy, I like to take all the opportunity I can for that. Bearing this in mind, I’ve got a treat for you. I’ve teamed up with That Boutique-y Gin Company to offer you a festive treat, the opportunity to win a bottle of their Yuletide gin for yourself to share with friends around the fire, or perhaps in front of Die Hard. It is a Christmas film. To me, anyway. Yuletide gin is just fabulous. It has just about every Christmassy flavour you can possibly imagine, crammed in to one bottle. I’d tell you all of those botanicals, but from the mejool dates to the entire gingerbread house, the list is quite overwhelming. Plus, I’d be repeating myself. I wrote a little bit on their gin last year and with one click you can read the list here. You can buy a 50cl bottle online, but at the end of this post I’ll tell you how you can enter a competition to win one for yourself. TBGC have been very kind to me this year. Not only have they given me a bottle of gin to give away to you fine lot, but they’ve also given me a Boutique-y advent calendar, filled with 24 of their delicious creations. It makes the festive season all the better. Last year I got the pleasure of opening doors to their calendar, in exchange for showing off some of the serves. This year I only had to create one serve which they will post on the day of the gin in the calendar. I already knew what I wanted to do. When the day of my serve comes, I hope that you like it. Gin advent calendars are really rather popular and I can see why. Last year my December was transformed for having a surprise gin to come home to every day. If you’re interested in getting hold of one of their calendars for yourself or someone you know then you can do that through various sites: Master of Malt, Amazon, 31 Dover and IWOOT. I’ll leave it up to you to decide your preference there. So, if you’d like to win the gin, just keep an eye out on my Twitter (@TheGinfluence). In the next 24 hours, you’re going to see a simple retweet to win. The competition will run for 3 days and I’ll pick one lucky winner out of my santa hat, to be announced on Friday. So, keep your eyes peeled and good luck! Let the festivities begin! – That Boutique-y’s Yuletide Gin! Well, almost. But that’s close enough, right? With all this dashing around, find the perfect gifts for everyone, it’s important to take a minute to yourself to well, have a little indulgence too. At That Boutique-y Gin Company, they claim to have ‘distilled Christmas’, in their new Yuletide gin. And, with the incredible list of botanicals, I’m inclined to agree with them. Are you sitting comfortably? Juniper, cassia, cinnamon, nutmeg, raisins, medjool dates, cloves, allspice, clementine, cardamom, ginger, whole pomanders (oranges studded with cloves), Basam and Douglas Fir Christmas tree needles, Christmas cake, charred oak, chestnuts, Christmas puddings, lebkuchen, mince pies, panettone, a whole gingerbread house and finally, to give it that final finish of Christmas, frankincense, myrrh and 24ct gold flakes which give it a beautiful snowglobe effect. Believe me when I say that I have shaken the bottle several times since getting my hands on it. An absolutely amazing list, but how does it taste? As good as you’d hope, seeing as its packed with more goodies that a Christmas stocking. The nose is beautiful, smelling sweetly of juicy Christmas pudding warm spice and with a hint of the pine needles on the finish, giving a foreshadowing of the excellent balance between so much rich flavour and the juniper. As we move into the palette we have the exquisite balance of clementine, pudding and confectionery, all those sweet and spicy flavours we associate with picking at by an open fire. The finish leaves us with the appropriate lingering of glace cherry, the cherry on top of what is a wonderful, wonderful gin. There’s a lot you can do with this. As a basic G&T it works fantastic with Aromatic tonic and orange twist, a sprinkling of pomegranate seeds to give it some extra panache. There are alternative recipes on That Boutique-y Gin’s website here, including a White Christmas Negroni and a Fireside Punch. I’ll also be taking the festive period to experiment with some hot gin recipes. Another successful offering from Boutique-y. Well done! Yuletide gin is available from most online retailers such as Amazon, and Master of Malt. 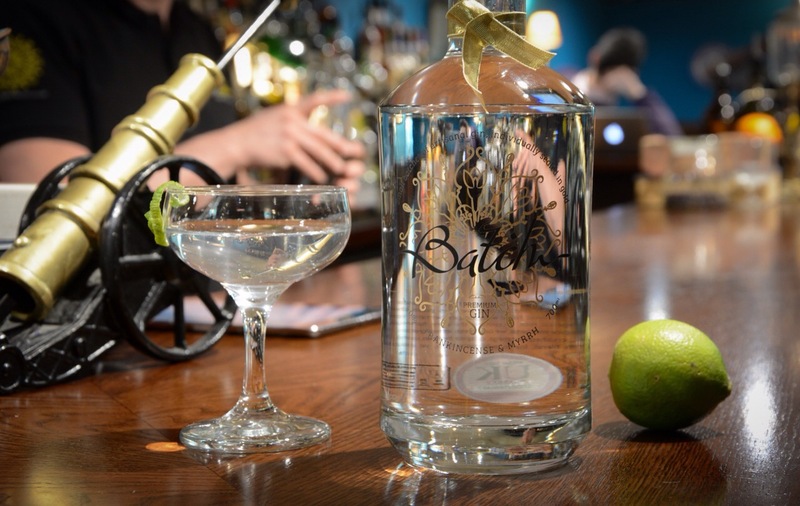 Phil Whitwell of Batch contacted me some time ago to request I take the time to try his new gin and write a few words. What an absolute pleasure. Soon after, bottle #123 of batch #12 arrived. The numbers are written lovingly in gold pen, onto a gorgeous and very elegant bottle containing a gin that won Silver medal in the San Francisco World Spirit Competition 2015. For good reason too, as it has one of the most distinctive flavours I’ve tried yet and it will certainly have a home on my shelf. The micro distillery of Batch Brew Ltd is nestled up in Burnley, Lancashire. Although the family based company started brewing beer, they soon moved into spirits and they’re aiming to put the North West on the map. Only launched in Dec 14, they are already making good headway and are looking to set up a cooperative to allow the local micro distillers to work together and become a stronger force in today’s growing market. There are 12 botanicals listed on the bottle (if you’re new to gin, notes on flavours can be found in my previous post Tell me, what’s your flavour). In addition to core flavours, such as orange, clove, nutmeg, allspice and cardamom, there are the trademark frankincense and myrrh that puts it well into the spicy category and also slips it into a deep and earthy realm that invokes naked feet in land and grass. Quite rightly, the juniper is not overridden by the heady mix of warming spices. More so, they are dancing together in the sunset of the beautiful bitter orange finish. Starting out as brewers of craft-ales, Batch’s idea to instead focus solely on gin production came about in Spain where Phil –on a business trip– found himself exploring Madrid. After experiencing so many gins and garnishes amongst Spain’s rich drinking culture he sought to find a unique blend of botanicals that were inspired by the ancient Turk and Moor spice caravans, and it is inspiration well found, as it makes for a fabulous sipping gin, and that is certainly my favourite way to drink it. That said, it was only right to try it with a few mixers and I’m partial to Fever Tree. 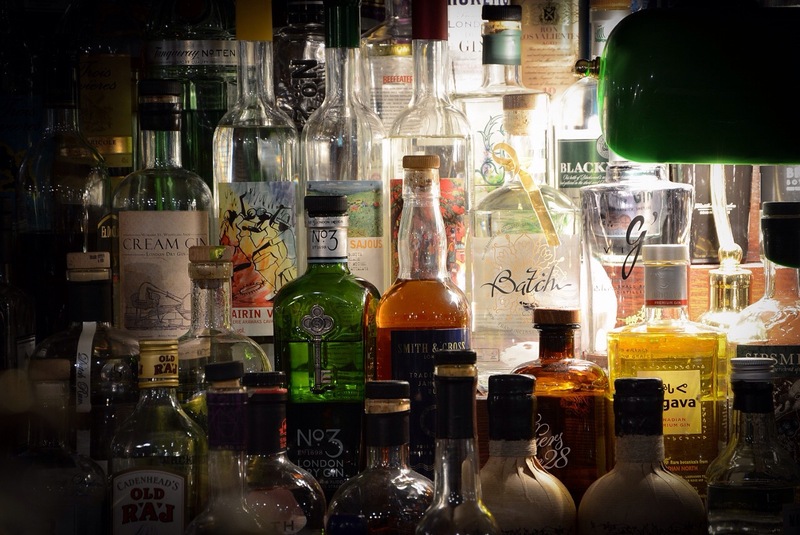 The delicate flavourings and high quality of ingredients do a gin justice, really bring out certain flavours and can create an entirely different experience. I took the time to drink it with each one. Indian tonic, ginger ale, bitter lemon and elderflower and I enjoyed every one. As to how the flavoured tonics worked, the spices disappeared into the ginger, the elderflower disappeared into the gin and the bitter lemon came out on top. The warm spices bring out a delicious lemon meringue flavour that I found very hard to put down. What a combination! With this gin however, Indian tonic works best. With such a definitive taste, it’s best to give it the limelight. Speaking of lime, lime and raspberries work incredibly well as a garnish and are featured as the perfect gin and tonic from Batch themselves, although we are all encouraged to experiment (which as we know is part of the fun of gin drinking). One thing’s for certain, one of my favourite aspects of this gin is its versatility. A gin launched in the depths of colder months with botanicals echoing of Christmas, that can be drunk as a fresh G&T in the summer and as a cosy sipping gin in winter, only promises to be a favourite all year round.